Back To School Giveaway! — walk in love. Here's the deal my friends: it's not fair that us grown-ups don't get new backpacks, notebooks, books, journals, and clothes this time of year. Right!?!? I mean, I'm 100% okay with not having gym class anymore, taking tests or worrying about getting to class on time, but still... have you seen all the cool back to school stuff these days?? Well, we've got ya covered. And that's exactly why we've teamed up with a few brands to bring you the "Back To School, But For Grown-Ups Giveaway!" Here's what you could win: a $100 gift card from walk in love., this gorgeous backpack from Azaria, a beautiful set of the Gospels from Alabaster Co, the coolest word search book from Margot & Co., Fields of Green, and a handful of walk in love. 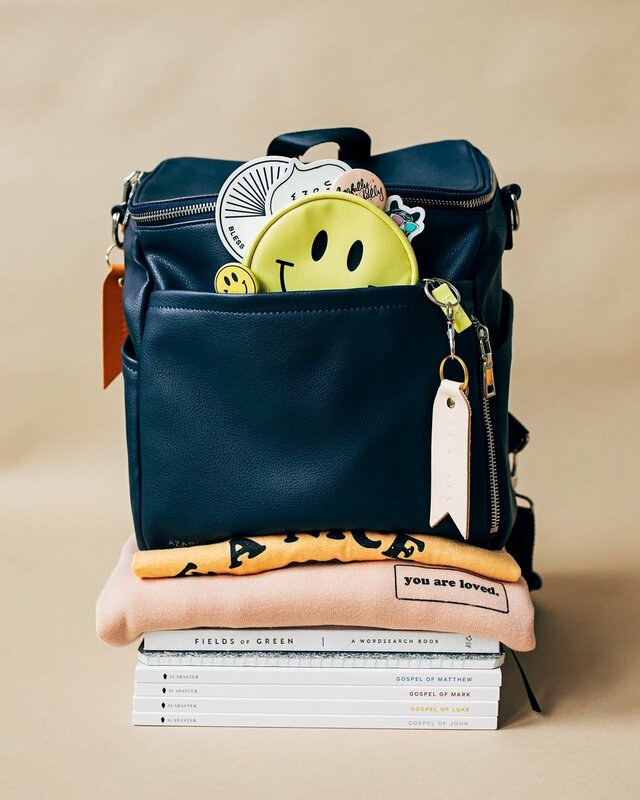 stickers, pins and leather keychains inside a smiley coin purse. Head over to our Instagram and enter to win! The rules: 1. 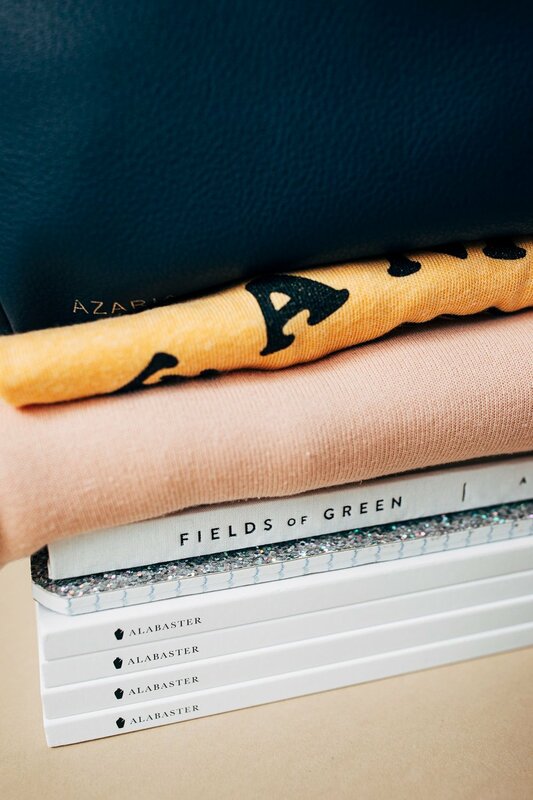 You must follow each brand involved -- @walkinlove, @azariabrand, @alabaster.co and @margot.and.co / 2. Comment on the original giveaway post and tag at least two friends! --- Giveaway ends midnight 9/15, winner announced 9/17!